Custom Cake Balls for Any Theme! Have a unique theme or color scheme? We can create custom cake balls and cake pops to match almost any theme. 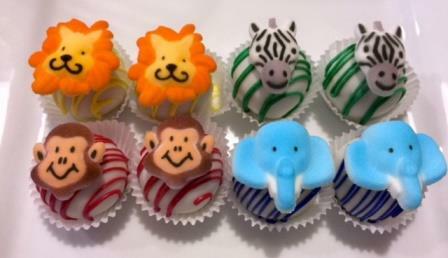 Check out these adorable cake balls we created for a Noah's Ark birthday party. We dye our own chocolate so we can match any color scheme. Contact us today to discuss custom cake balls for your upcoming event.